Looks like the animated-to-live-action Disney movie-making factory isn't going to close yet. After Alice in Wonderland, Maleficent, Cinderella and The Jungle Book comes a Beauty and the Beast live-action translation. But does this mean the servants will all be live-action talking utensils? Variety broke the news that Bill Condon of Dreamgirls fame will be directing, and Evan Spiliotopoulos (who wrote Battle for Terra and basically all the direct-to-video disney movie sequels) will be penning the screenplay. Our biggest question for this movie: What will the beast look like? 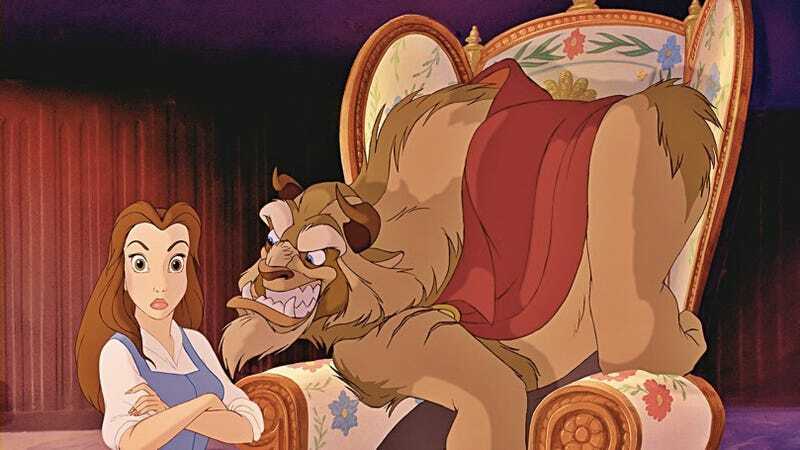 The best part of the Disney version was it allowed to make the Beast cute-ish due to his animated fur. He was less like a cat person (Ron Perlman) or a lizard (Robert Carlyle) or even a weird rage monster (from the current CW show's Jay Ryan version). The animating of the Beast made him slightly more sympathetic and like a furry woodland giant that you wanted to pet. Personally, I think this movie will live and die on what the Beast will look like. Meanwhile, I cannot WAIT to see live-action Gaston because I feel like the whole of Hollywood is ripe for this casting. And finally, what are they going to do about the Beast's staff? Will they remain as they were in the Disney version as talking household objects? Or will this movie pull more from the original fairy tale? Only time will tell.